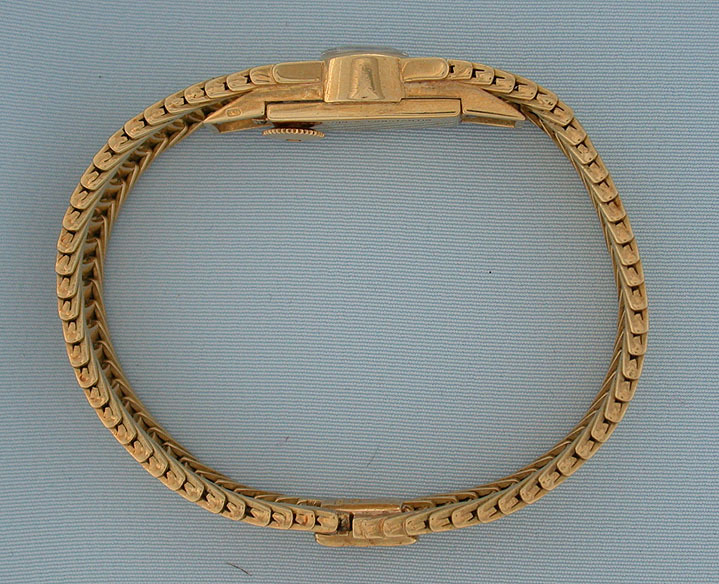 Fine Vacheron & Constantin 18K gold ladies vintage bracelet wrist watch circa 1956. Very decorative and substantial bracelet. The backwind watch with original silver dial with applied gold markers and gold hands. 17 jewel calibre 1005 movement. Length 6.5 inches.